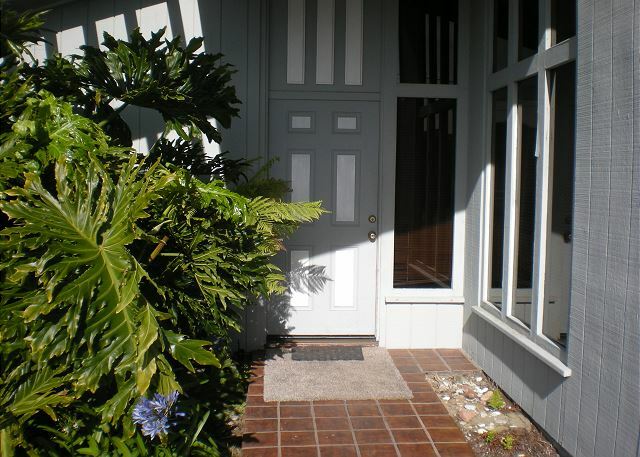 Spacious home located a short distance to downtown and one block from beach access. This home has a large open floor plan with the living room, dinning area, and kitchen located in the front of the house. 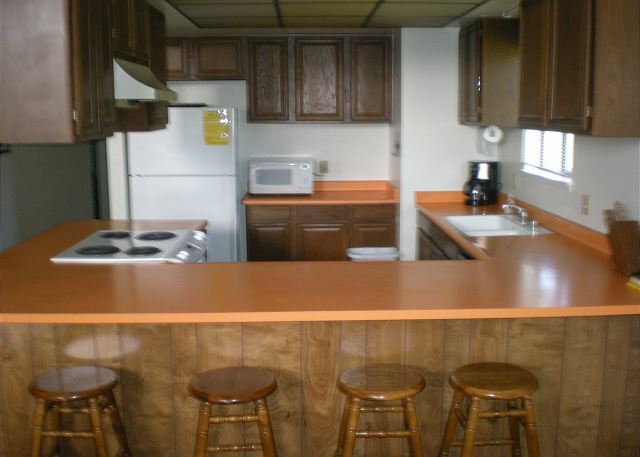 The kitchen is very open and is fully equipped. 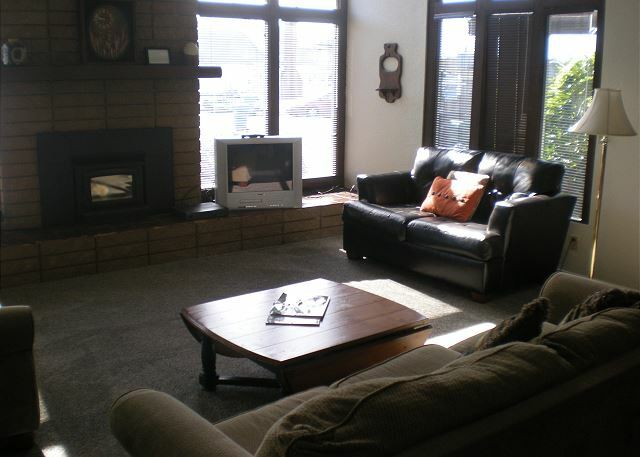 In the living room you will find a wood burning fireplace. Towards the back of the home are the four bedrooms and bathrooms. This home is perfect for your next family gathering with plenty of room and located in a ideal location. No smoking, no pets, linens & towels not provided. NIGHTLY MINIMUMS VARY SUMMER AND HOLIDAYS. Thoughtfully designed house was perfect for our group of 6. The decor is vintage 1978 and with a few tweaks could feel very intentionally modern. Living room is comfy. 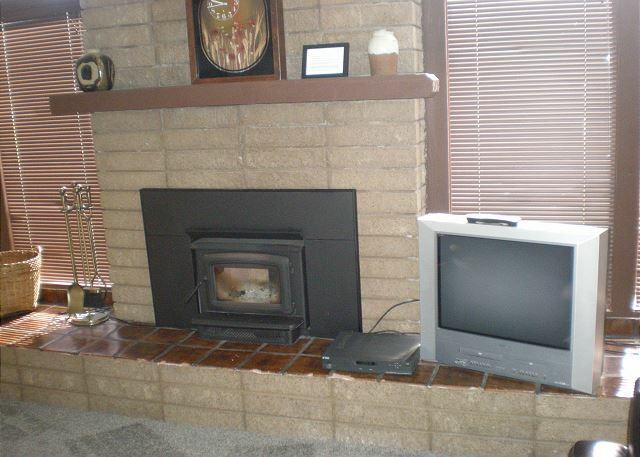 Why not put the new flatscreen TV on the mantle?? Beach access super convenient. 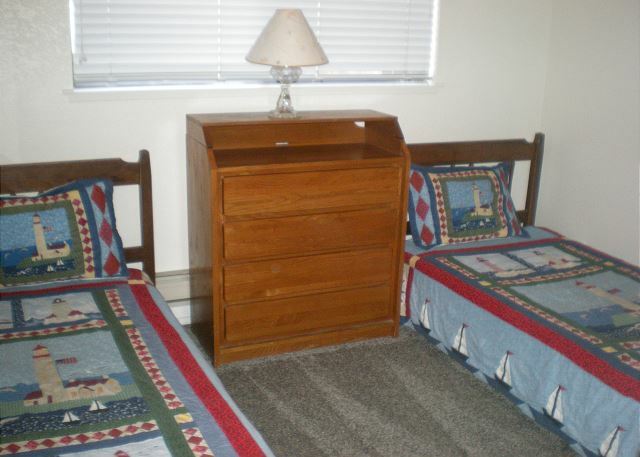 Complaints would be that he twin beds are like box springs and totally unacceptable. 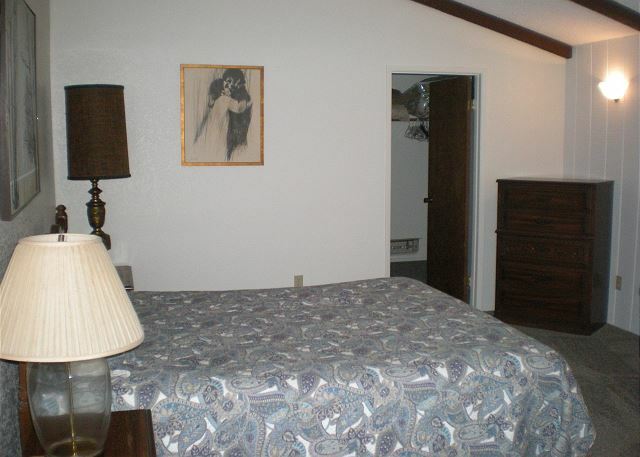 Until those mattresses are replaced this place should not be advertised as a 4 bedroom. And why am I paying $150 clearing fee if I have to bring my own sheets and towels?? Although they house was spotless, there is a musty odor in spite of newer carpets. A deck to to sit outside instead of the juniper bushes would be nice to have. We were so pleased with this home! It was so clean, and had everything we needed for a perfect weekend. We took our entire family and there was plenty of room and great sleeping arrangements. 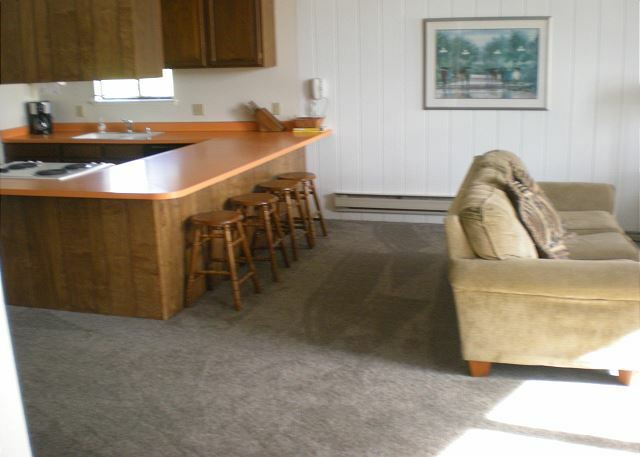 Location is great with a very short walk to public beach access. Planning to rent it again.p sometime. We had a family/friend weekend away and never left the home except to go to the beach which is an easy, close walk. We cooked our meals in the fully stocked kitchen. The home was clean and children friendly. Plenty of bedrooms and sleeping space for a large group. There is a seal problem with the refrigerator so we propped an ice chest in front of it to keep it closed and kept drinks in the ice chest. That’s why I only gave 4 stars for maintenance. 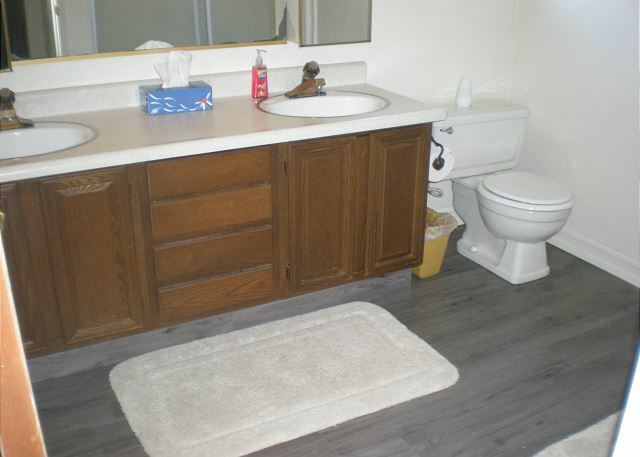 Overall great location and clean spacious home. Will definitely be staying here again. Wonderful! The house was clean and sparkling when we arrived. Although a bit dated, everything was perfect for our family's stay. Our stay in our rental home was fine but there were cob webs at every corner of the high ceiling. The showers need an update and a little more cleaning especially the glass door to the main bathroom. The old box television has seen better days and the DVD player did not work. There was no garage or a backyard, so we had to utilize a bedroom to store our bikes and outdoor toys. Other than that, it was a decent enough place. It’s a spacious house with nice flooring. It was also otherwise clean. The beds were decent and everything else was fine. This home was a great fit for our family. Really liked the ability to control each bedroom's heat independently. Kitchen could use a bit more cookware for serious cooks, but we will just bring our own next time. Great living room space, but an updated TV to keep pace with the HD cable connection would be nice. We have stayed at #55 for the last ten years... it has all new flooring and tasteful decor - comfortable living area for a large family like ours. Thankful that it is still affordable! We had a great time during our weekend at this house- we wished it could have been longer! The set up of the house is perfect for groups because we had some who wanted to go to bed early and the rest just hung out in the living room without disturbing those sleeping. We loved the short walk down to the beach and enjoyed the easy access to other beach towns. We will definitely be back! Charles B from Hanford, California does not recommend this vacation rental. 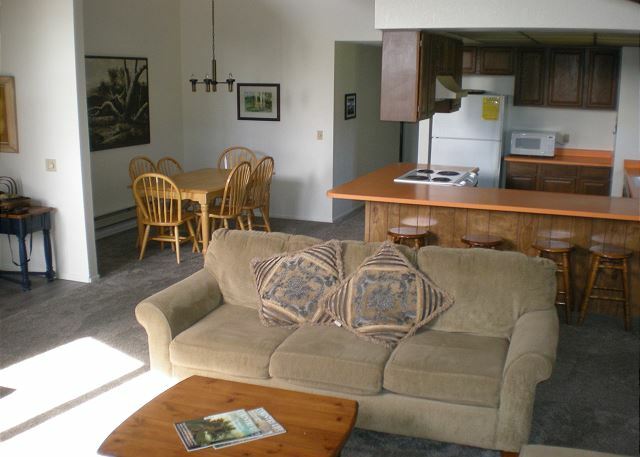 We've rented this particular property multiple times and it has never failed to help make our get aways special. The recent upgrades to the home are awesome, and the service is incredible... the only reason I won't recommend it to a friend, is that I don't want to share!!! We have stayed here for several least 2 weeks of summer. 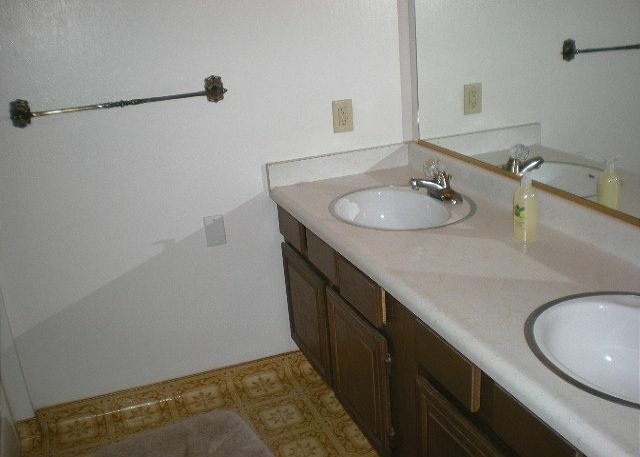 the beds aren't awesome (we bring our gel pads) the Master bath shower needs work... but for the price? we will keep coming back. the couches in the living room are comfortable and the spacious living area allows all our kids to join us. The house needs a thorough cleaning (air vents and baseboards, maybe mini-blinds). Super easy process to check-in and checkout. We've stayed at 55 10th Street multiple times, and never once have we had even a minor issue; the home is clean, well maintained, and the neighborhood is fantastic. Coastal Escapes does a fantastic job! The only reason I won't recommend this property to a friend... I don't want more competition for prime rental dates. Call me selfish. Our families had a wonderful time in this house. Great memories created. The kids actually played a board game. This house is in a great and safe location. Can't wait to come back! The house was clean, close to the beach and large enough for our family to enjoy a nice Thanksgiving. The only suggestion would be to replace both dishwasher and water heater. There was a hot water shortage and the dishwasher at times did not complete a cycle. very nice house. very big and clean. We have been staying at this house for over 10 years, and it has become our site for summertime memories. We are so comfortable there. Plenty of room, excellent location, friendly neighbors. We love cooking meals and having a family dinner together, then walk along the beach at sunset. For us, having an older home is a benefit. We like seeing the beautiful homes being built, but don't ever want to leave our 10th street home. Perfect location for beach goers. great for a family. Lots of room. We had a wonderful time in the house. The house was wonderful for families who still have nappers. The living room is very large and the bedrooms are tucked in the back of the house. we needed quiet, check. an empty field next door w/ lots of birds visiting was about as busy as it got! the neighbor across the street had company almost everyday but were very respectful. we walked to the beach to play and to watch whales and feeding frenzy of pelicans... there is nothing fancy here but it is WAY better than camping! We've stayed at this house a couple of time and have had a great vacation every time. Plenty of room in this home .Close enough to the beach for the little ones to walk. We love this house - we have rented it many times. NOT fancy. the carpets are old and the beds are not good - but it is big and open - the walk to the beach is not too long and the dishwasher works. the stove is new. and the outside shower next to mudroom is perfect. The children liked the beach being so close. Just a walk away. We have stayed here each summer for about 10 years. Our children and grand children consider it our summer home away from home, as they have partly grown up there. The location is excellent, the price very reasonable. We have suggested a bit of modernization: LCD TV; wifi; upgrade some beds. We just needed an escape from the oppressive Bakersfield heat and by chance found that this property was available for a weekend getaway. We found the staff at Coastal Escapes most accommodating and friendly. The property was entirely adequate for a relaxing weekend. I'm glad we found this management company. Always a great vacation rental. Thank you. our 3rd year at #55 - the beds are still awful - we bring a gel-foam topper our kids brought airbeds! the price can't be beat and the beach is perfect. there is a nice new couch but the TV is dinky. if you plan to cook bring your fav. tools - the kitchen has bare minuimum. no mixer, no popcorn popper, mo wine opener, BUT LOTS of space!!!!! and outdoor shower and washer dryer! Love the home, really happy to have a new leather love seat and master suite bedding! How about a good hand held cheese grater for us cooks and a long handled dust pan for us seniors! the house was perfect for our family and a great location. Although this house was not a beachfront, the location was close to town and activities. The 4 bedrooms made for a comfortable stay for myself and family. The kitchen is well stocked as we cooked many meals there. Very nice place and I will stay here again if I can't get a beachfront. The only negative was the size of the water heater. The last person to shower had no hot water. Not a problem if you were the first. you made a beach bum outta me! come again and again. thanks for making it avail. We have been taking our children and grand children to this house for many years. They consider it "their" beach house. 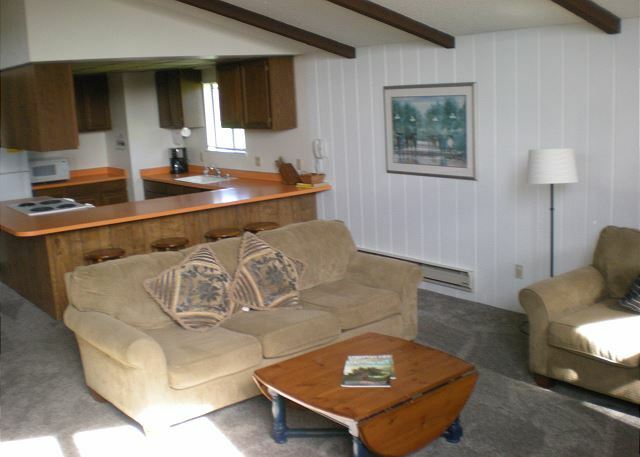 The house provides most of what we would want or need, is close to the beach and generally comfortable. 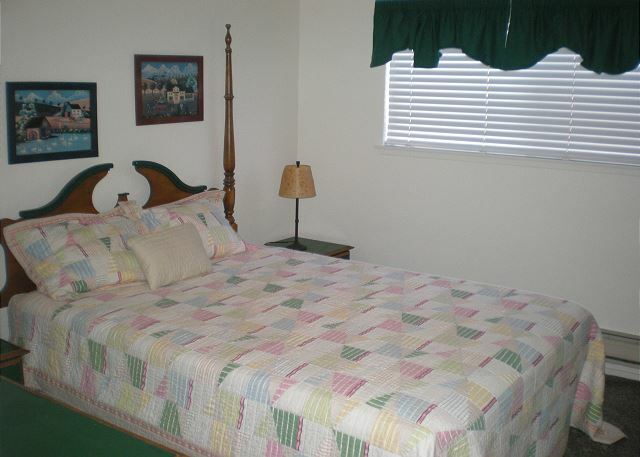 The beds could use an upgrade and it would be lnice to have an LCD TV, but we always enjoy it and come back again. Our extended family stayed the week. We all had a great time. 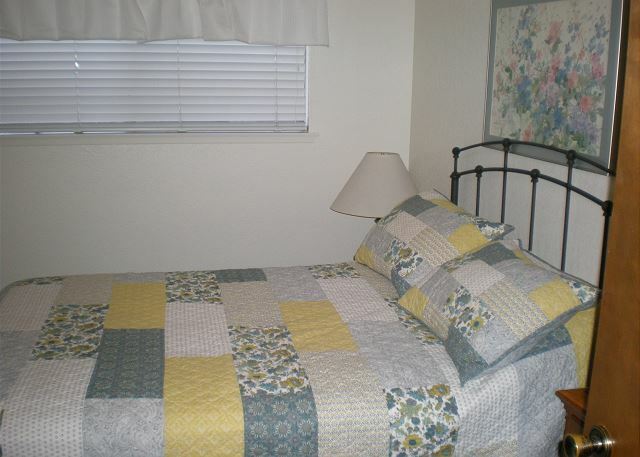 It's a great location close to the beach. Just a short (less than 200 yds) walk, almost straight. For outings you can go north or south to find all kinds of activities. Shopping is within a short drive. The house was roomy and well laid-out for the three families. 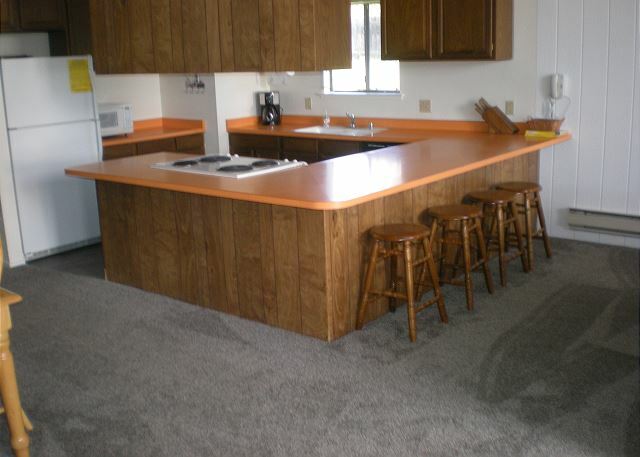 The living/ family/ kitchen room was spacious and great for gatherings and games. This house has become a tradition in our family, making many wonderful memories for children and grandchildren. Roof leaks around chimney when it rains. I think they are trying to find the leak to fix it. Rollaway bed needs a clean mattress and cover. Our family vacation went very smoothly, we defenitley enjoyed our stay and look forward to our next stay. We had a great time and the house was perfect for our family. We loved working with Rhonda who met all of our needs and can't wait to come back next year! Beds are not very good. Could use a broom and mop for intermediate cleaning. How about DSL and a second TV in master bedroom? Great location, big comfortable house, beds could be better. We would stay there again and again. Loved it. 1)Updating: Shower door track in the hall bathroom needs to be replaced as it is filthy. Shower doors could be replaced too. Resurfacing and caulking are needed above both showers. 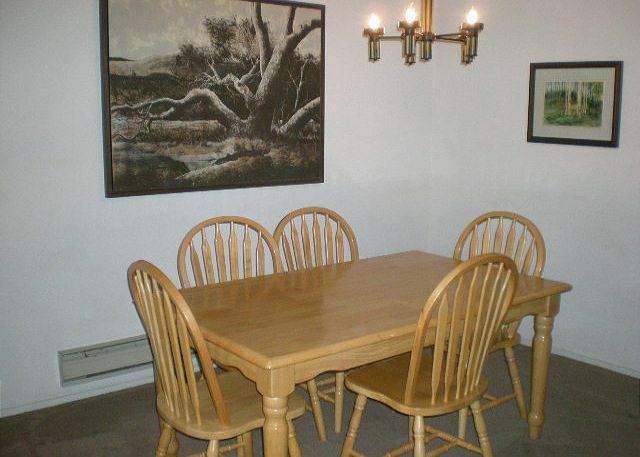 2) In the winter, the dinning room heater is inadequate to heat the kitchen, dinning room and Den area. Eastside wall heaters are inoperative. A roaring fire in the fireplace helps some. Overall the house seemed clean. But the floors were pretty dirty. I don't think they had been mopped in a long time. Which makes me wonder how clean the rest of it really was. For the past 6 years during the summer I have taken my entire family of 8 to 55 10th for a week. That speaks volumes and my grandchildren call it our vacation house. Sometimes we all return in March for a long weekend too. We like the short walk to the beach where the family spends alot of time. Our Vacation house is what our grandchildren call it. We have retured twice a year for the past eight years. I made a list of the items that needed attention and turned them in the day we checked out. Other than that, it was great. Thanks. PS. Reedley is spelled with 3 e's. We stayed here with another family and loved it. Our only complaint was there is no yard of any kind to hang out in, which would be nice in the lovely summer weather. But it's a short walk to the beach, even with small kids, and plenty of inside room to play without being on top of each other. We would definatly stay here again.